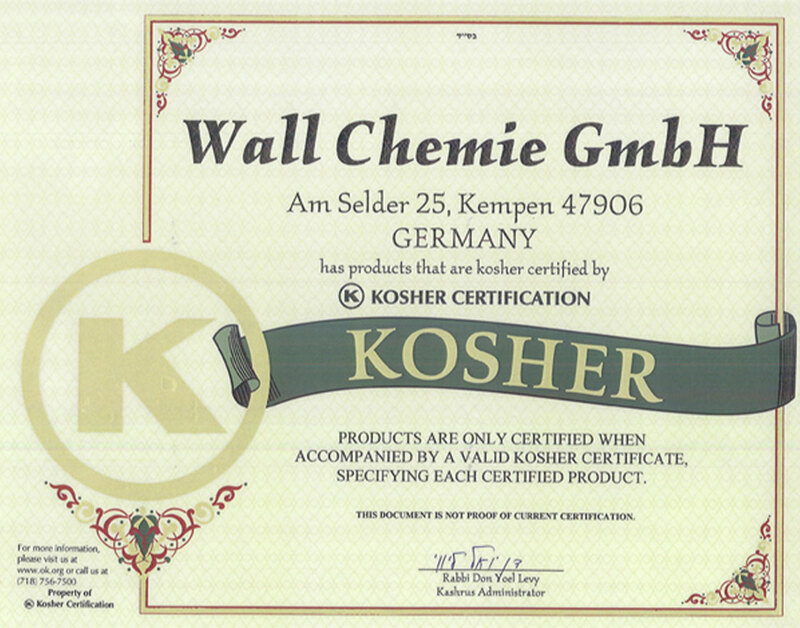 Wall Chemie is certified according to the GMP+ standard which describes the production of feed additives. 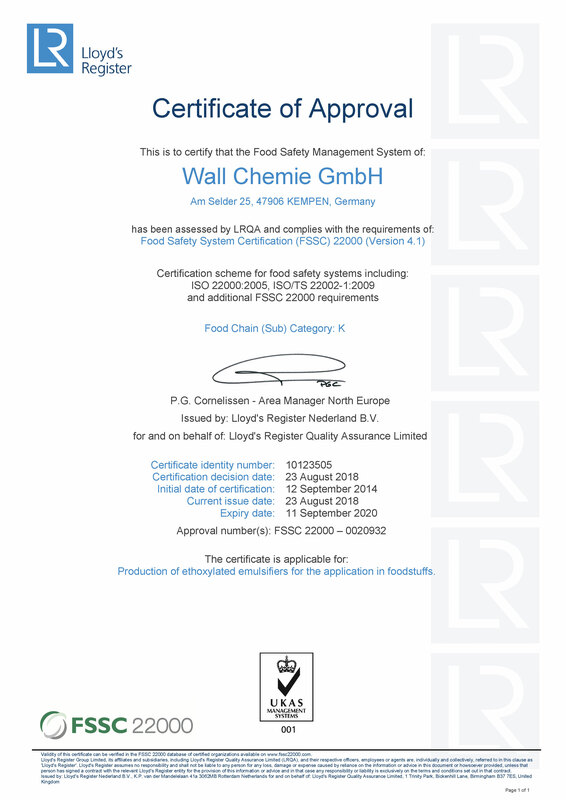 Furthermore, it is certified according to the standard FSSC, which defines the requirements for the production of additives for the food industry. 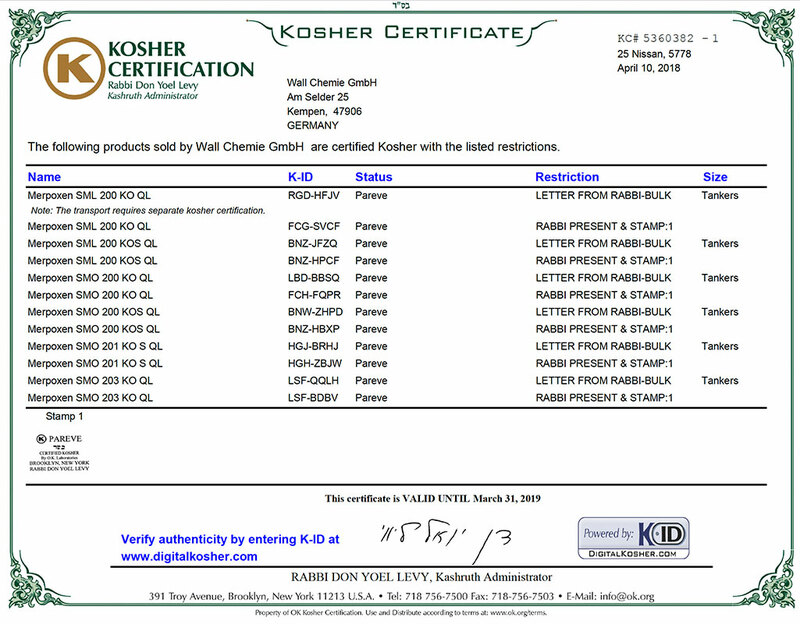 We are certified kosher, which allows us producing products in kosher quality upon request. 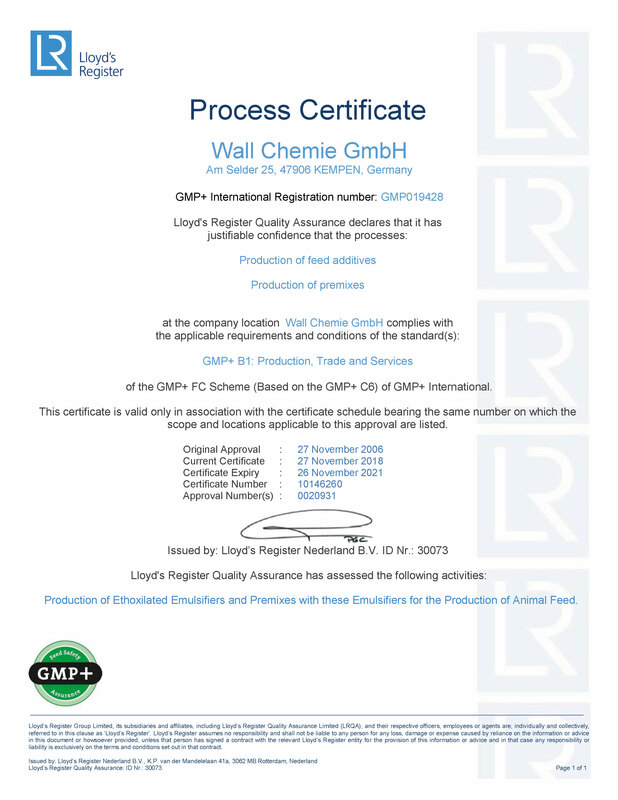 The sets of rules of GMP+ and FSSC require the implementation of a quality management system. We have established this in form of an integrated management system (IMS) based on the standard ISO 9001:2008. Additional elements of the integrated management system are occupational safety, environmental protection and plant and product safety. 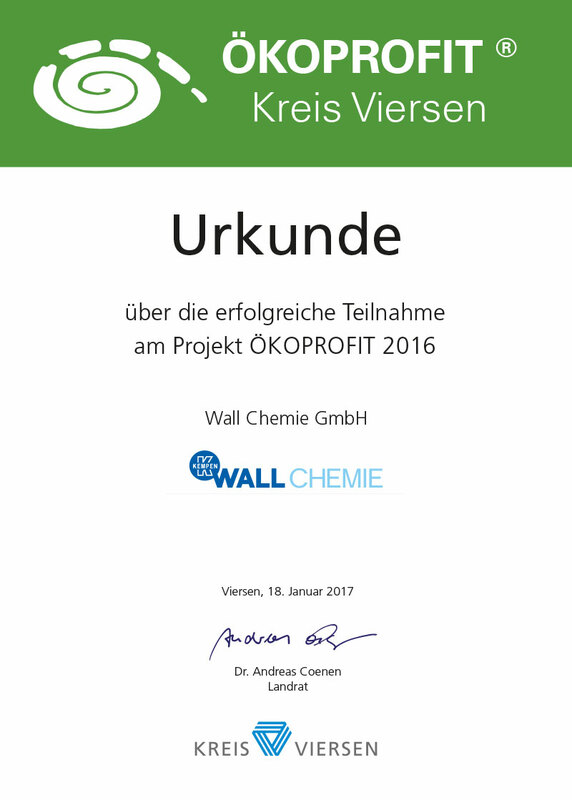 Our IMS is oriented on the specification “Occupational Health and Risk Management System — OHRIS” and the requirements of the „Störfall VO” (German regulations on major incidents) are met with regard to plant safety.